The 16th annual CityLit Festival is happening April 27 and we’ll be there. It’s no secret that journalism is in a bit of a crisis. Reporters are being laid off en masse. Lots of smaller community papers are struggling to keep their doors open and larger ones are trapped under the thumbs of larger corporate interests. And then there’s that guy in the Oval Office. We’ve been giving this a lot of thought. In our session, “When It All Falls Down: Real Talk About Journalism in the Age of Trump,” Beat cofounder Brandon Soderberg and I will talk about what journalism looks like right now and what we think are some of the best ways to move forward. We’ve seen the best and worst of the business—we’ve been able to be part of some amazing storytelling but also have seen the fall of Baltimore City Paper and the first iteration of Baltimore Beat. We want to share what we’ve learned from these ups and downs and hopefully encourage writers to keep moving forward. We will talk pitching, storytelling with compassion, using social media, and more. There is also lots of other great stuff at CityLit, too. Dani Shapiro, author of “Inheritance: A Memoir of Genealogy” is he festival’s keynote speaker. She’ll be in conversation with Marion Winik, author of “Baltimore Book of the Dead.” There is also a Children’s and Young Adult Literature sessions featuring among others, Susan Muaddi Darraj, “Breaking Down Bars: Stories That Challenge Mass Incarceration” featuring Dr. Tara Betts, Tony Lewis, Jr. and Chris Wilson and a panel curated by Loyola University students, about writing and the LGBTQIA+ experience—and plenty more. 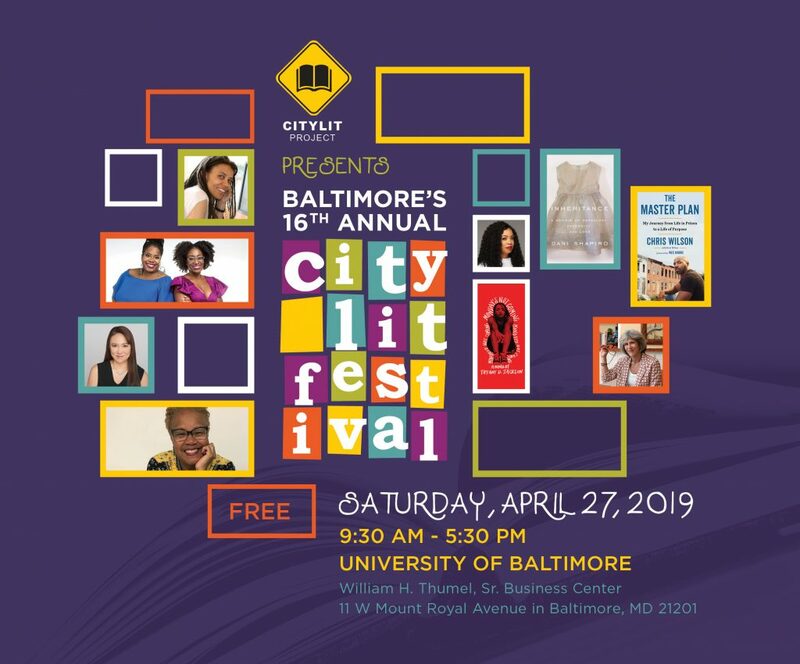 The free festival is April 27, from 9:30 a.m. to 5:30 p.m.at the University of Baltimore’s William H. Thumel, Sr. Business Center (11 W. Mount Royal Ave.). Click here for more information.